Gynaecomastia.net.au is a free on-line medical information resource provided by Australia's foremost plastic and cosmetic surgeon, Dr. Warwick Harper, MB BS FRACS. A qualified surgeon with over 35 years experience. Gynaecomastia is a medical condition wherein an excess of breast tissue or fat on men combines to create the unsightly appearance of female breasts. Gynaecomastia affects approximately one third of all Australian men, causing them to be exceptionally self-conscious about their appearance, especially in situations where they have to remove their shirt, such as the beach or the bedroom. Gynecomastia can be caused by genetics, by the use of steroids (as with male bodybuilders) or by medical use or changes in melatonin (known chemically as N-acetyl-5-methoxytryptamine). Whether bilateral or unilateral, the over-development of the male breast is an unsightly physical condition that often has emotionally debilitating side-effects. Gynecomastia is no respecter of age or circumstance and affects adult men and teenage boys alike. Gynecomastia surgery in Sydney is a safe and rewarding surgical procedure performed by a qualified cosmetic surgeon that results in the removal of excessive fat and tissue from the male breast which restores a more 'manly' look to the patient's chest. The emotional benefits of Gynaecomastia surgery are far reaching and impact positively on the emotional well being of the patient for decades to come. Gynaecomastia surgery in Sydney is a surprisingly cost effective and straightforward medical procedure. For example, Dr. Harper's Surgeon fee for performing Gynaecomastia starts from just $2,640 (with surgery only lasting on average 1 ½ hours). Note: Medicare and fund rebates are also applicable, which can significantly reduce the cost to the patient even further. For more information, or to book an obligation free and totally confidential consultation, please call Dr. Harper on (02) 9977 2286. Dr. Harper has consulting rooms in Manly (on Sydney's Northern Beaches) North Sydney and Nowra (on the NSW South Coast). There is a distinctive difference between a 'Cosmetic Surgeon' and a 'Plastic Surgeon'. In Australia there is no formal surgical training or qualification required for a doctor to call themselves a 'Cosmetic Surgeon'. This lack of training and accreditation may result in a patient spending many thousands of dollars for a sub-standard procedure. There is only one way for a doctor to become a 'Plastic Surgeon' within Australia and this is through official accreditation by the Royal Australian College of Surgeons (RACS). Accreditation by the Royal Australian College of Surgeons is exceptionally difficult to achieve and is a result of 10 years post graduate training. At which time the surgeon is allowed to use the letters FRACS (Fellow of the Royal Australian College of Surgeons) after their name. These letters and this formal qualification is the benchmark you should use when choosing a surgeon. Dr. Harper graduated in Medicine in 1968, and after 10 years of extensive surgical training both in Australia and overseas, became a Fellow of the Royal Australian College of Surgeons and commenced practice in 1978 as a plastic and cosmetic surgeon. He has successfully performed cosmetic surgery and plastic surgery on many thousands of satisfied patients over an illustrious 35 year career. 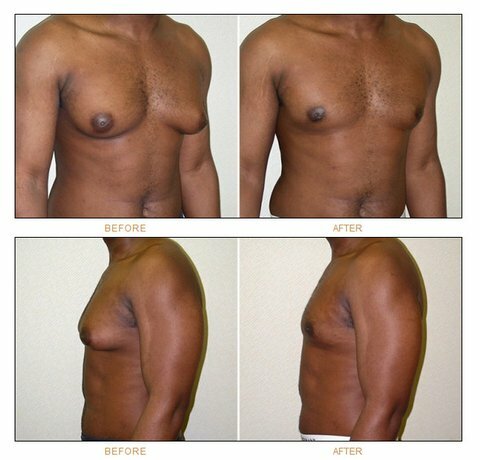 For more detailed information on Gynaecomastia please visit Dr. Harper's main website: http://cosmetic-surgery-sydney.net.au/.